RIOT POLICE WERE dispatched to the Oberstown detention centre last night after two teenage boys escaped from the facility and climbed a roof. Gardaí said the incident happened at 10.30pm yesterday and that Dublin Fire Brigade was also called out to deal with the incident on Halloween night. The two boys would not come down from the rooftop for over three hours. A ladder was placed against a wall in a bid to entice the teenagers to come down to safety. 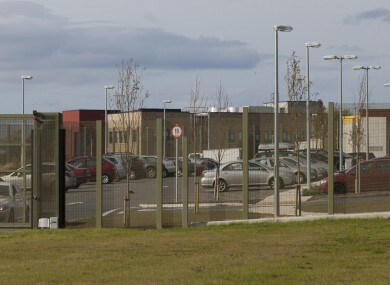 A garda spokesperson said: “Gardaí were called to the Oberstown detention centre last night to deal with an incident involving two males who escaped from the centre. Dublin Fire Brigade was also called to respond. There were no injuries and investigations are ongoing. Earlier this year, it emerged a review of the Oberstown campus will take place following a series of high-profile incidents. Email “Gardaí in riot gear involved in stand-off with two detainees at Oberstown detention centre last night”. Feedback on “Gardaí in riot gear involved in stand-off with two detainees at Oberstown detention centre last night”.